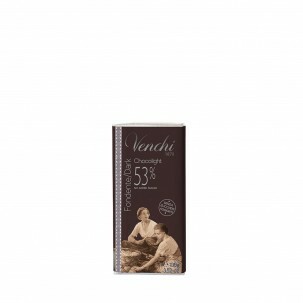 Today, you may know Venchi simply for its rich chocolates, but the company has a rich story to match. The tale begins with Silvano Venchi, an ambitious, creative young man with a passion for chocolate. He had the good fortune to grow up in Torino, the birthplace of gianduja, the sweet blend of dark chocolate and Piemontese hazelnut, and home to innumerable fine chocolatiers (and, 150 years later, the first Eataly!). Even as a teenager, Silvano always loved to wander through the old streets of his hometown, stopping and closing his eyes as he breathed in the heady aroma of chocolate that drifted out of the traditional pastry-makers’ workshops around the city center. Whenever he could, he would sneak into the kitchens and watch the skilled hands of local chocolate-makers at work, gazing, speechless, as they deftly concocted the food of the gods. At the age of 16, he began his career as an assistant in a confectioner’s workshop. Within four years, he had put enough aside to buy two bronze cooking pots – the tools of the trade – and had gained sufficient experience to attempt to make his dream come true. So, in early 1878, the 20-year-old Silvano opened his own chocolate shop in the heart of Torino. With just those two pots paired with the enduring passion for chocolate, he combined regional recipes and the finest natural ingredients to create his confections, hoping the chocolate would speak for itself. Today, Venchi follows the same time-honored recipes and is celebrated across the world for crafting artisanal chocolates, which still nod to Torino's iconic gianduja. Following Silvano's values, the company uses only high-quality all-natural ingredients without chemical additives, preserves, and so on. From spreadable gianduja to crunchy bars, the resulting chocolates are rich, creative, and simply delicious. Share Venchi with someone you love (who may be yourself!) with our dedicated counters at your local Eataly. Can't make it to the store? Shop online!